Maria Casino is established by Unibet, a very reputable bookie operating out of Malta. When it commenced operations in 2006, the casino was targeted towards the female folks and this geared up the number of ladies that swarmed to the banner of the casino particularly those that are resident in the Scandinavian countries. For several years, the highest number of ladies patronizing this casino has been from Finland and their favorite game is usually the many variants of slots from Netent. Recently, the website underwent some sort of rejuvenation so if it has been quite a while since you visited, you will notice that the red colored theme signaling a more feminine outlook has been changed into a neutral purple. More so, the casino has been more than generous with a staggering 200 GBP bonus and 40 free spins once an initial deposit is made. The games offered in Maria Casino include but is not limited to Slots, Bingo, Live Casino, Scratch Cards amongst several others. The interface is also very responsive with a very silky design. 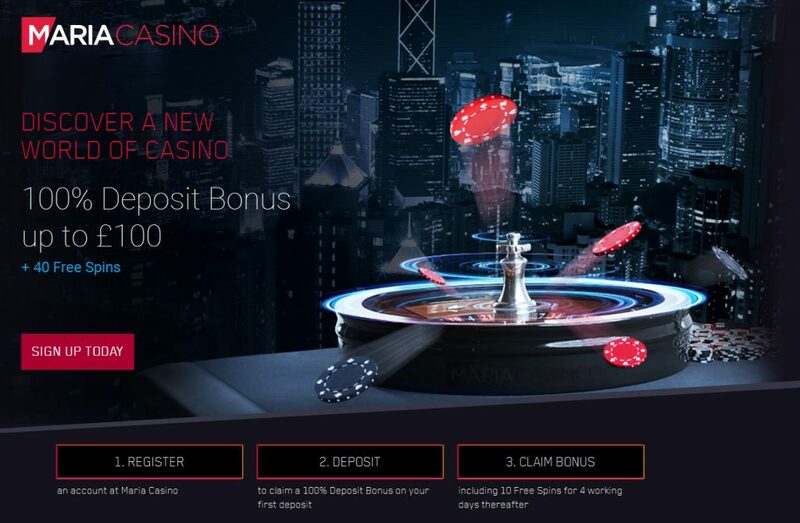 Promotional offers at the Maria Casino are mind blowing as earlier highlighted and there are three folds of welcome bonus package that leaves players spoilt for choice. There is a package where for an initial deposit of 40 GBP, players enjoy a 30 GBP bonus and also 40 free spins. The second one rewards customers who make initial deposits of 40 GBP with 100 GBP and also 40 free spins. The last one is a hundred percent bonus for an initial deposit of 200 GBP and 40 free spins. Therefore, no matter your preferred choice, you enjoy 40 free spin largesse usable on NetEnt’s frontline slot game, Starburst. Suffice to say that for the first four days you spend at Maria Casino, you will be awarded 10 free spins as part of their plan to make you settle in soonest. The playthrough rate are also very considerate because all that is need to withdraw winnings that were earned using the free spins, is to re-wager them 15 times and then the cash becomes yours and importantly, the free spins have only 24 hours expiration period. There is also a 35x playthrough rate for all the other bonus packages offered by the casino before winnings can be collected. Players must also accept their bonuses before the 7th day after deposit has been made. Professionally, we also advice that you go through the TandC of the Maria Casino website before you accept any bonus plan because they have several packages and you should only accept the one most favorable to you. To help reduce the playthrough rates, Maria Casino has a model known as the Game Stake Contribution which is very important in reducing the playthrough rate per game played. For ease of understanding, they have been categorized into three, slots contribute 100 percent to the playthrough rate and bingo contributes double of that at 200%. Every other game apart from Devils Delight, Jack Hammer and its variant Jack Hammer 2, Thunderstruck and its variant Thunderstruck 2 and Blood Suckers contribute only a miserly 10%. This simple categorization is critical for players to know how different games weigh with regards to playthrough rate before they make a decision. While on the Maria Casino website, you may want to visit the special Promotions Page where information about all promotional packages are displayed to keep abreast of the offerings in the casino. 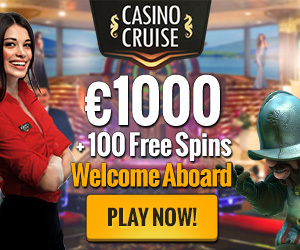 More so, the casino has a series of competitions like free spin giveaways, slot tournaments and even price holidays which seem to be continuously ongoing. At this casino, you are sure of different kinds of bumper packages popping out almost every few days. A major downside to this casino’s bonus policy is that it has no VIP scheme unlike most of its competition. We can assure you that you will be spoilt for choice with the wide array of games available at Maria Casino because the management of this online gaming establishment has ensured a generous offering of Baccarat, Blackjack, Roulette, Casino and Video Poker and even Red Dog including not lesser than 300 slot games. There is also a Bingo room studded with both 75-ball and 90-ball games and also some progressive jackpots. Players also get to enjoy a highly sophisticated Live casino games offering baccarat, Blackjack and even roulette amongst several others. So even if all we have reeled out here doesn’t hit you and you’d want a bit of scratch card fun, Maria Casino have got you covered too. Another intriguing point about this casino is that they source their games from several game developers like Microgaming, IGT, and Jadestone just to mention a few. At least with this information, you will understand why their game library is over 400 games strong. Maria Casino accepts only bank transfers, Visa and MasterCard credit and debit cards. For now all manner of eWallets platforms like Skrill and Neteller are not supported. As per industry standards, the lowest amount that can be withdrawn is 15 GBP and we have hitherto endured a 4 GBP charges on withdrawals at the Casino, this policy has been abolished since the beginning of last year. Withdrawals can also take close to 10 days at the maximum. There is a 10,000 GBP per transaction limit but the casino has been magnanimous enough to remove any sort of limitation on the number of times withdrawals can be made.